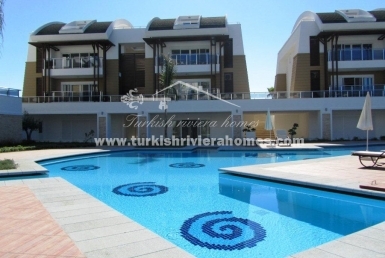 Reduced by over 20,000 Euros for a quick sale are these gorgeous apartments in Belek in a supreme location and offering 3 large bedrooms – a once in a lifetime deal indeed. 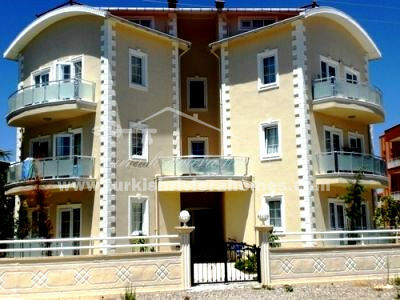 Built and designed to the highest possible quality and standard in the region, the complex consists of two different blocks offering 2 types of apartments for sale. 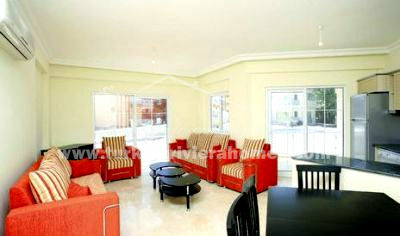 Type A: 1 living room, 3 bedrooms, 2 bathrooms, 115 m² living area. 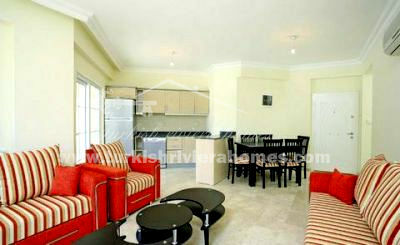 Type B: 1 living room, 4 bedrooms, 3 bathrooms, 170 m² living area. For prices and availability of both types, give us a call or email today and one of our team members will assist you with all the information that you require. Located close to the famous Nick Faldo golf course, the Cornelia Championship Golf Course, and others, you will struggle to find a better located complex than this one – prime in Europe’s golfing capital and perfect as a holiday home abroad. 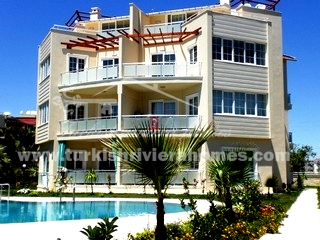 The are also easy transport links to Belek Town centre and other parts of the region. 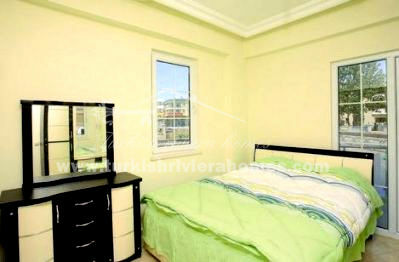 Each property comes with several features including: marble floors, air-conditioning in all rooms, white goods included, satellite and Internet, breakfast bar, granite kitchen tops, and much more. 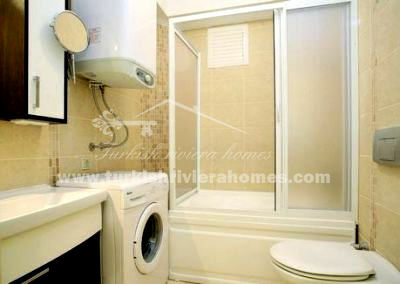 Modern in design and offering lots of high class features and facilities, the complex offers all you would require from life in Turkey. The outside swimming pool is large and 200m2 in size, there are lots of garden areas to enjoy and a children’s swimming pool. 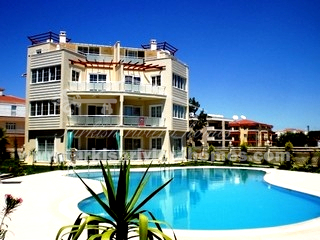 The complex features many trees, nature, and colourful flowers to make a warm and idyllic surrounding to your home. 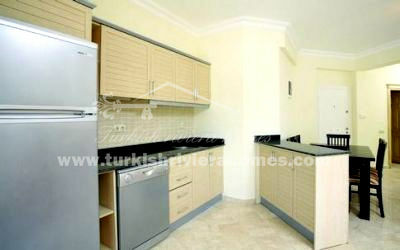 The complex is just a short walk from Belek Beach Park and 24 hour security and monthly maintenance is provided. With over 300 days of sunshine per year, Belek is the ideal spot in Turkey for sun lovers and sport lovers. 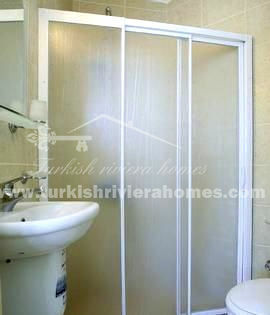 You will be amazed at the amount of golf courses in the area, it is also quiet and stress free, an ideal lifestyle. 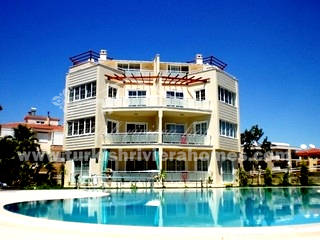 Closest golf course is just a 10 minute walk away, the sea is just 1000 metres distance away, while the airport is 25 km away and Antalya just 35km away making easy day trips and excursions with the family.